Obituary for Frank Eugene Stewart | Esterdahl Mortuary and Crematory, Ltd.
Frank Eugene Stewart, 71, of Moline, passed away Thursday, January 24, 2019, at his home. Funeral services will be held at Noon, Tuesday, January 29, 2019, at Trinity Lutheran Church, Moline. Visitation will be from 4-7 p.m., Monday at Esterdahl Mortuary & Crematory, Ltd., Moline. Burial will be at Riverside Cemetery. Memorials may be made to the Kidney Center, Moline, Trinity Lutheran Church, or Blessed Beginnings Preschool. Frank was born on July 10, 1947, in Davenport, Iowa, the eldest of 5 children of Harold J. and Dorothy M. (Mortenson) Stewart. He graduated from Davenport West High school in 1965 where he was Captain of the Men’s Golf Team, a hobby that would bring him joy for many years to come. Frank graduated with a civil engineering degree from Iowa State University in 1970. 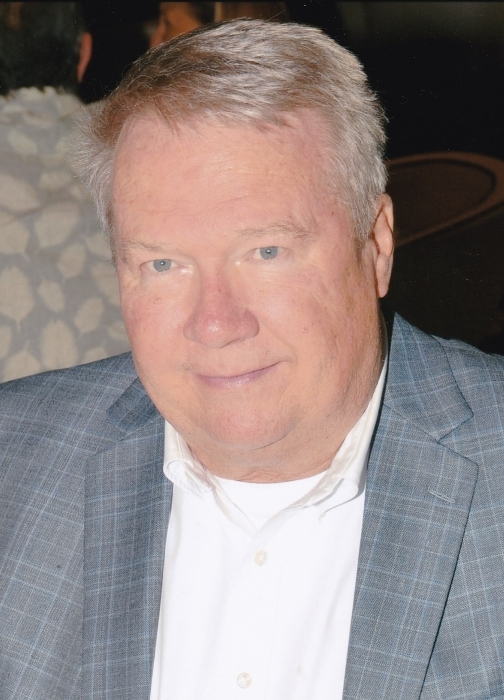 He attained his Professional Engineer, Structural Engineer certification in both Illinois and Iowa and spent several years at various firms before finding his home at KJWW Engineering, where he worked for over 25 years. It was through a co-worker at KJWW that Frank met his wife Ruth. He married Ruth Marie Chelstrom on June 28, 1987, in Moline. Upon retiring from KJWW Frank started his own firm, Stewart Structural, which allowed him to continue his passion for his work while having the flexibility to spend time with his family. Frank was an active sportsman playing golf every Saturday, bicycling (including riding the Ragbrai twice), and skiing, a sport he taught his children and grandchildren. When Frank or Papa, as his children and grandchildren called him, was not working he was spoiling his grandkids. His favorite pastime was spending time with them and sharing his unique sense of humor. Frank was active in the community serving on the Centennial Bridge Commission until its sale and the Church Council of Trinity Lutheran Church in Moline where he was a member. Survivors include his wife, Ruth; children, Gretchen Peters and her husband, Andrew Stump, Naperville, IL, and Braeden Peters and his wife, Amy, Moline; grandchildren, Anna Redington, Emma Peters, and Greer Peters; siblings, Janet Stewart, Davenport, Anne Stewart and her husband, Jack Sanders, Sac City, IA, Jeff Stewart and his wife, Lori, Des Moines, IA, and Nancy Stewart and her husband, Dan Ruh, Afton, MN., 2 nieces, 6 nephews and 2 great nephews. Thank you to the Dr.’s, Nurses, and staff at the Kidney Center Moline.